Architects in Dubai are currently working to build the first rotating skyscraper. 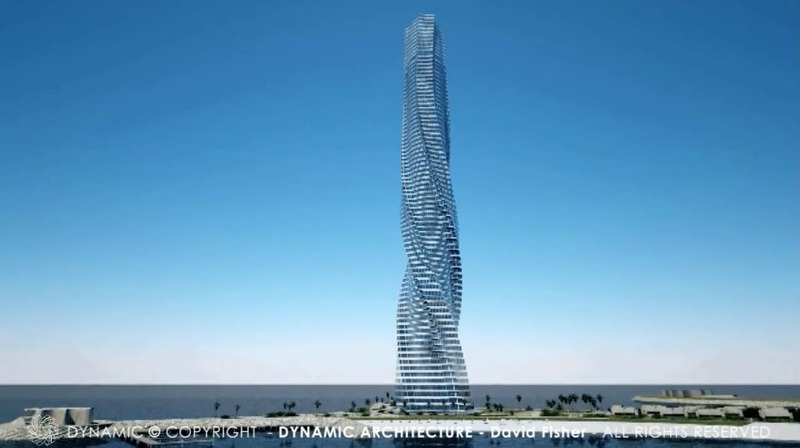 Davis Fisher, an architect from Dynamic Architecture, is currently working on plans for an 80-story, 1,273-foot tower that can rotate 360 degrees in both directions. The building’s core connects each of the rotating floors while remaining stable. Each floor will be prefabricated at another location and attached to the tower after completion. It will be powered by 79 wind turbines, located between floors, and rooftop solar panels. Residential units are expected to range between $4 to $40 million and be available by 2020 so long as the project does not fall through. Modern architects continue to push the boundaries of what was previously possible in building. Architects Training Institute offers a variety of courses to expand your business knowledge or keep up-to-date with your continuing education. For information maintaining your architects license and continuing education for your state please visit our website, call us at 800-727-7104, or email info@traininginstitutesedu.com. This entry was posted in Architecture and tagged Architects, Innovative architecture.